So there I was at my local bookstore, browsing the children’s section for a baby shower gift (there is no better shower gift for a baby than a board book — can I hear an amen?) 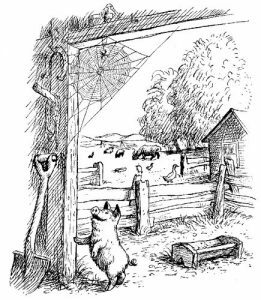 and I happened upon a lovely paperback copy of E. B. White’s Charlotte’s Web, with all of Garth William’s lovely illustrations all colored in so nicely. My heart and soul and eye were drawn to it, even though this book was a childhood favorite and I know the story as well as I know my own, and it definitely wasn’t a baby’s board book. A few minutes later, though, as I stood in line to buy Dear Zoo (baby gift!) 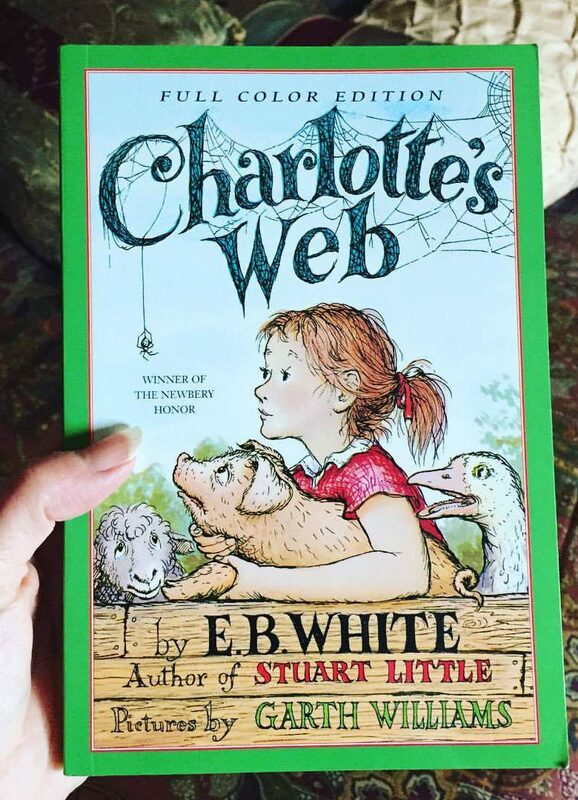 that copy of Charlotte’s Web was also in my hands. And now it’s on my nightstand and I’m reading a chapter a night before bed, and before I grab the other book I’m reading, and it’s just as wonderful and precious to me, all these years later. Last night, Fern’s brother Avery tried to knock down Charlotte out of her web and he ended up falling onto Wilbur the pig’s trough and breaking that rotten goose egg that Templeton the rat had been saving. Remember that? Tonight I will read how Charlotte spins the words SOME PIG into her web, in her very clever and selfless scheme to save Wilbur’s life. And all the while I’m reading, I’m hearing Rex Allen’s matchless voice narrating the story. I must have played the animated movie version on our old VHS player a hundred times when my kids were little. No one can be the voice of this story for me than Rex Allen, just like no one can be Anne of Green Gable’s Matthew Cuthbert for me except Richard Farnsworth. No one. Ever. 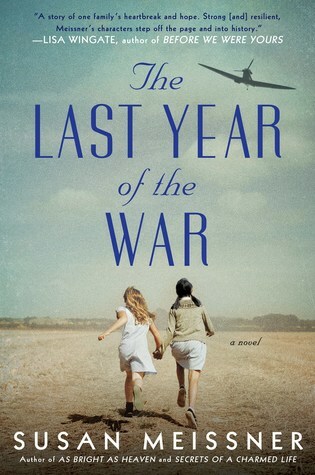 I’m thinking I may have to spend the next few months reading all the books I loved as a kid. Make that the next few years? Next on my list, A Little Princess by Frances Hodgson Burnett. 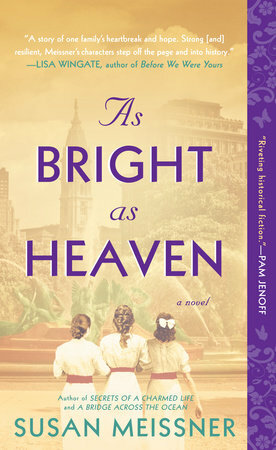 I seriously stood in a bookstore and held in my hand From the Mixed-Up Files of Mrs. Basil E Frankweiler the other day. I was so tempted to buy it! I was shocked to discover that it was such a thin book. I remember it being much thicker as it was packed with such adventure! And oh, I loved The Little Princess! So many great books. It would be hard to choose. I love rereading books from when I was younger! I actually just finished The Witch of Blackbird Pond by Elizabeth George Speare. That and The Bronze Bow probably started my love of historical fiction. Yes to baby board books as shower gifts! You are a kindred spirit!